6 skins today and they go to Switch (#1), AliG(#5), Mother (#9) and McGoop (#11,13 and 15). You come to Cuba to read a book? A last minute trip attendee, Potter goes 3-0, getting 1 birdie and 1 dog worth 5 bones. Welcome to Cuba Potter - great shootin'! Not a newbie to the Slammer Tour or this trip, Cracker earns second star for going 2-0-1 and getting a birdie. See that score? Someone is feeling good about being in Cuba! This rookie to the tour, in his debut event gets the third star for going 1-1-1 in his matches and getting a birdie and a great dog worth 25 bones. Congrats and keep it coming. Oh and what a great person as well. 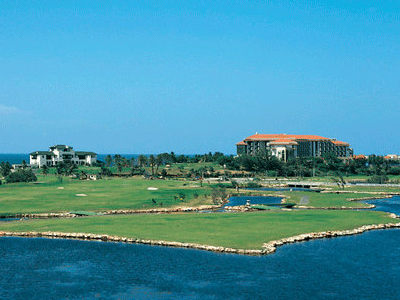 Best aspects of course: Wow - Cuba is such a paradise - those views are unbelievable and never get old!